Kitchens are by no means a purely practical place anymore—they’re the heart of our homes. This is the place where family comes together, cooks, and shares a meal. It’s also a place to socialize with friends and host parties. 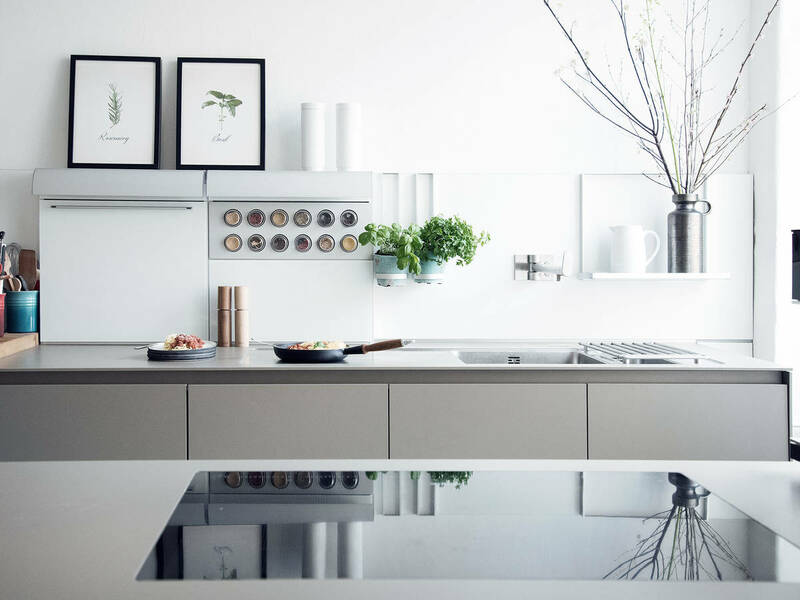 From storage to prep space to ease of cleaning, there are several work processes to consider in the kitchen when it comes to layout. In order to streamline, you should start by arranging your kitchen more practically from the start. A cooking island helps to save steps and can also be used as a work surface with an integrated stovetop or as a casual dining table. A stove is at the center of every kitchen and the trend towards induction cookers continues. However, the design of stoves is often neglected. SCHOTT has now redesigned the classic black cooktop so that it can adapt to your overall kitchen design. With a transparent version of their CERAN® glass ceramic, it’s now possible to print warm and cool gray tones underneath. Plus, you can operate it via touch displays, which turn the cooktop into an innovative surface in terms of both form and function. Light is an important element in the kitchen, but it is often considered only as a necessity and less as a design feature. Classic red displays on devices such as the cooktops perform a function, but could be further developed in terms of design. Currently, SCHOTT is working with lighting solutions that enable the display of LED lights in various colors through a SCHOTT CERAN® cooktop. This way, displays will trend away from the standard red light. SCHOTT is already marketing white light displays, which look much more elegant and discreet. SCHOTT also presented a lighting concept study at the IFA in Berlin that gave an outlook for what might be possible in the future: The possibilities include cooking areas with colored LED lights, moving lights, integrated cooking scales with light indicators, and cooking surfaces that operate via clapping, tapping, or even gestures. Unfortunately, they cannot be bought just yet, but SCHOTT is working diligently on market-ready solutions so that your kitchen can soon shine in a new light in the design world! Goodbye wallpaper, goodbye wall tattoos! You can do better with your four walls than just painting them. Chalkboard paint turns your wall into an area that you can actually write on and always have the next shopping list in view. Magnetic elements ensure that important utensils such as knives or spices are stowed away in a practical, good-looking way. Let’s be honest: How many times have you bought things for the kitchen that were alluring, but not really practical? Perhaps your old bread machine, sandwich maker, and juicer are already covered in dust in a corner. Clear out your kitchen regularly and invest in high-quality equipment that can fulfill several functions. Here, too, SCHOTT is working on innovative and design-friendly future visions with light effects, e.g. an integrated cooking scale in the cooktop that turns green once you reach the desired quantity of any ingredient.